I had the good fortune to travel to England and Europe during Term 3. While I was in England league tables of GCSE results per school were being published which led to many newspaper articles about improving the academic performance of students. 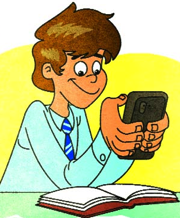 Surely if schools were allowing students to bring their cell phones in, it was for an educative purpose that had already been discussed widely among staff, students and the community, with strategies set in place to manage and use these tools effectively for learning? Just a carte blanche statement to students — ‘Feel free to bring your cell phones to school’ — would not result in enhanced learning. Indeed, it could well lead to students being distracted and using their phones unwisely, as the articles were suggesting. Where then does the problem lie — with the cell phones, the users, or the school? Blaming cell phones is not the answer. Students must be supported to understand and practise responsible digital citizenship. We must remember too, that we are educating students for their future, not ours. League tables and Pisa tests are all very well as indicators of ‘pass’ success, but what of future success? How well are we doing at preparing students for a future quite markedly different from our own? Technology is very much a part of that future. 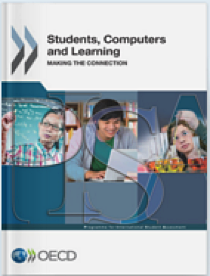 “Students unable to navigate through a complex digital landscape will no longer be able to participate fully in the economic, social and cultural life around them” pg 5, OECD report. And just to be clear here, reading, writing, speaking and calculating in all its various forms are still skills that students need to master. But I believe that if we are merely educating students to reach a level or pass a test, then we are failing to provide them with the skills they require to pick their way adroitly and confidently into the future. Students need to demonstrate that they can apply their reading, writing, speaking and calculating skills to create something new; to problem solve; to think critically. They need to be provided with authentic experiences that give a taste of what it is like to be a mathematician, a writer, a scientist, or an artist. Students need time to collaborate, to reflect, to defend an argument, to state a point of view, and to challenge themselves to reach above and beyond their own expectations. Technology can certainly help with this. 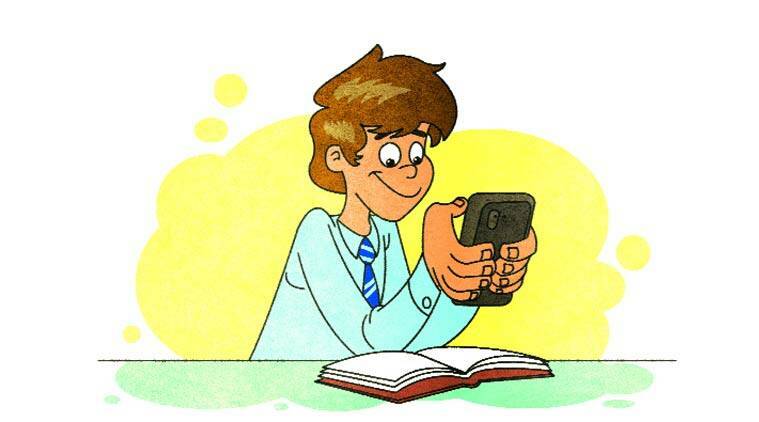 So back to the cell phone… does it have a place in education? Yes it does, alongside other digital devices. But what must be clear is that these are just tools. Good quality teaching and learning always comes first. Using digital tools with a clear educative purpose to enable students to collaborate, create, and to share their learning and reflect critically is sound use of such devices. Diane Mills is an ICT PD National Support Services facilitator for CORE Education. She was involved in education reform in the Middle East for four years. She provided professional development to in-school teachers on a wide range of educational topics to help align their teaching with 21st century expectations in education. Diane is a trained secondary IT and mathematics teacher. Most of her secondary teaching has been in Waikato schools. Diane has held the positions of Dean, HOD mathematics, HOD computing and team leader IT PD. Children’s voices: Are you listening, can you hear me? Are you looking, can you see me?